S-Oil is expanding their refinery with the Residue Upgrading Complex (RUC) in South Korea. Through this project, S-OIL will be able to convert low-value residue to high-value products such as gasoline and olefin downstream products. S-Oil chose Daelim Industrial and Daewoo in a joint venture (DDJV) as their EPC contractor. Daelim is in lead of Area 1 in Onsan industrial area where new refinery columns need to be installed, amongst other constructions. To install three of the heaviest columns, weighing between 1,089 and 2,095 tons, a gantry system was planned. This approach would require relocation of the gantry for each lift which would result in an installation period of three months. Mammoet was brought in part-way through the project to help optimize the installation schedule of the columns. Instead of a gantry system, Mammoet proposed their ring crane, PTC 200 DS. The PTC can turn 360 degrees and has a hoisting height up to 250 meters, combined with a lifting capacity of up to 5,000 tons. This enabled Mammoet to execute the lifts of three columns from one position and in a record time of seven days. This is the first time a ring crane was deployed in South Korea. 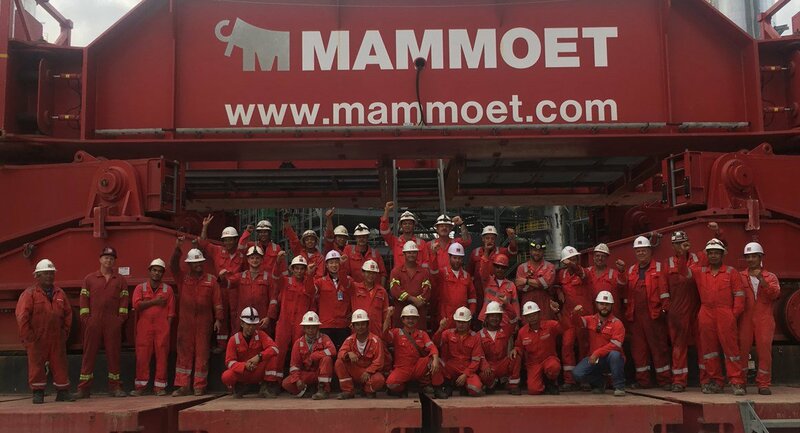 Mammoet mobilized an international crew and the PTC two weeks after the initial contact with the client. The assembly and disassembly in double shifts allowed for the lifts to be executed as quickly as possible with a swift continuation of the civil works right after. 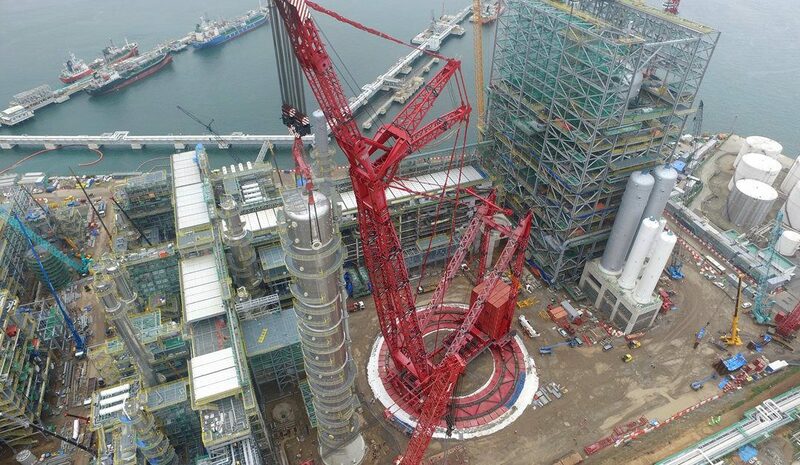 With the joint efforts of Mammoet’s and Daelim’s crew on site, Mammoet finished the installation and disassembly of the PTC 15 days ahead of schedule.